Smart phones and tablets have given us access to countless forms of communication; people are able to call, text and even video chat from almost any handheld device. Emojis (small digital images used to express ideas and emotions) play a huge role in this new age of digital communication. With over 2,000 unique emojis, we now have the ability to communicate in a way that was never possible with plain text. Emojis are universally understood and constantly evolving to reflect social issues and norms. A perfect example: Jessie Gill, a medical marijuana patient and registered nurse, is currently pushing to get cannabis-related images added to the library of available emojis. 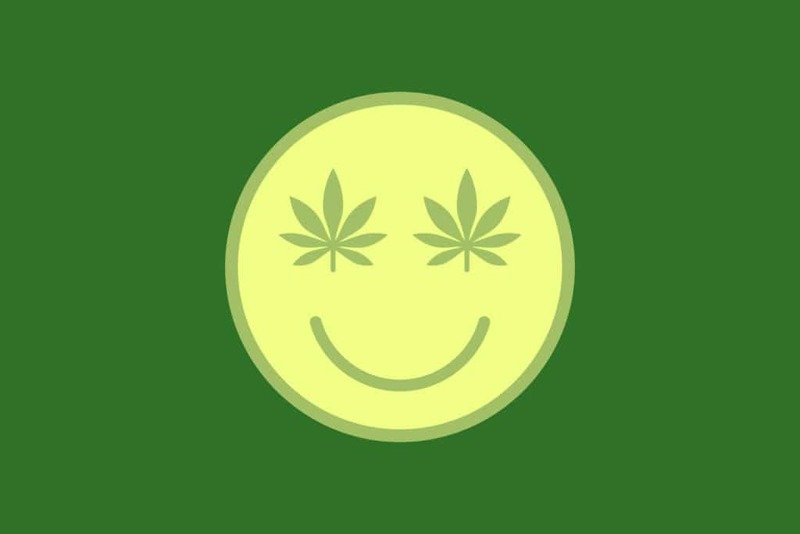 Gill says cannabis emojis can help end the stigma surrounding marijuana, which may allow more people to benefit from it medically. What Kind of Marijuana Emojis Could Be Added? I’d love to submit a proposal for a medical marijuana symbol, a hand-rolled cigarette, a water pipe, and red-eyed emojis, too. As a nurse, Gill says she was resistant to medical marijuana for a long time due to the stigma of the drug and lack of awareness surrounding its benefits. After a severe spinal injury, Gill tried many treatments and pharmaceuticals in order to feel well enough to work and care for her children. As her condition worsened and she began to lose hope, she reluctantly tried medical marijuana. Each day I’m awestruck by my results. I’ve been using cannabis daily for more than two years now and my quality of life has skyrocketed… Cannabis eases and soothes like nothing else can. Pushing for marijuana emojis is just one way that Gill is trying to spread awareness of the benefits of medical marijuana. However, she still has a ways to go before these emojis make their way onto your keyboard. Emojis are selected and developed by Unicode Consortium, an organization that oversees the representation of text in software, like that found on your smart phone. Unicode adds approximately 60 emojis a year, many of which come from user requests. Users may submit a proposal for a particular emoji, which will be reviewed by Unicode and later added to the emoji library if approved. Gill has submitted numerous proposals to Unicode for her cannabis emojis, and has even started an online petition to gain support for her cause. If the petition gains enough momentum, it’s likely that we will see cannabis-related emojis in the near future! Looking for More Information on Medical Marijuana? CannaMD is Florida’s premier medical cannabis clinic, providing compassionate care to Florida patients though evidence-based application of medical cannabis research. We have a number of educational resources available to help you navigate the ever-changing landscape of medical marijuana. To determine if you qualify for treatment, call us today at 1 (855) 420-9170 or complete our easy online application! You may be eligible for medical marijuana! To stay up-to-date with the latest studies and legal regulations surrounding medical marijuana treatment, be sure to follow CannaMD on Facebook and sign up for our newsletter, below! Get updates on more posts like this!